The club always provides the same boxes in the same order, regardless of when you sign up or your membership duration. Your first month provides a salami selection, while your second month gives you 2 types of bacon. Membership costs $150 for 3 months or $295 for 6 months. Shipping is free in both cases. The club is currently ‘on vacation’, but keep an eye on the site. They're bound to re-introduce it soon. This club provides you with a selection of meat and cheese. 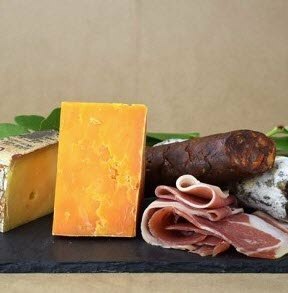 Cheese naturally complements charcuterie, making options like Murray's Meat & Cheese of the Month Club extremely appealing. The club provides you with 2 different types of meat each week, along with 2 cheeses. These are paired with each other, giving you a fantastic treat. The club is available in 4, 6 and 12 month variations. The 4-month version costs $300 and prices increase from there. Your shipment is sent out on the third Thursday of every month – starting the month after you order. Murray's does sometimes have a Meat of the Month Club as well. This follows a similar style, except that you're just receiving meat, rather than meat and cheese. That version seems to be unavailable at present, but it's likely to return at some point. This club specifically focuses on charcuterie, giving you an amazing selection each month. If you want to try many different types of charcuterie, the club from Dean & Deluca could be a perfect choice. They provide selections of small-batch handcrafted products, ones that you won't find elsewhere. They also focus on variation. Some of the meats follow traditional styles, while others are more unusual. The club ships out somewhere between 1.5 and 2 pounds of meat each month. You're typically receiving between 3 and 4 pieces of meat. This gives much more variety than the previously featured clubs. Membership costs $195 for 3 months, $375 for 6 months or $720 for 12 months. There are no details about the specific items you can expect each month, as getting a surprise is part of the fun. This club provides charcuterie from many different companies. iGourmet specializes in curated clubs. These feature amazing products from companies throughout the United States. They focus on several key types, including sausage, ham and pate. The subscription provides you with 2 full-sized products every month. These are always artisanal. You're given accompanying items too, which should pair well with the charcuterie. You can learn more about your selections with the included monthly newsletter. You can sign up for a 3-month or 6-month membership, for an average of $39.99 per month. These need to be paid for up-front. The prices work out to $119.99 for the 3-month plan and $239.98 for the 6-month plan. There's also a 12-month version. This costs $431.99. It works out to $35.99 per month – a 10% saving compared to the other versions. This club combines charcuterie and cheese. The club from Sharecuterie is designed with entertaining in mind. 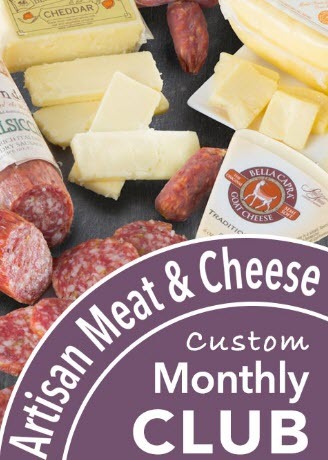 Each month provides you with 2 to 3 charcuterie products, 2 to 3 cheeses and various accompanying items. Pairing recommendations are included too. The idea is that you can simply put everything on a plate and have a ready-to-go platter for entertaining. The club is priced at $69 per month. That's a reasonable fee for the number of items that you're receiving. There are no other subscription options. You simply pay month-to-month until you're ready to cancel. While this club doesn't use the term charcuterie, it is a fantastic source of artisanal cured meat. The Carnivore Club is an especially popular choice for meat lovers. The subscription features a different artisan each month. These all have their own distinctive styles and flavor combinations. This is an ideal way to experience new tastes each month, without any effort on your part. There are 2 different types of box to consider. The first is the Snack Box. It contains 4 to 6 meat snacks. This includes items like meat sticks, biltong and jerky. The box costs $35 per month on subscription. The other option is the Classic Box. This is the best solution for charcuterie lovers, as it contains cured meats like salami, bacon and prosciutto. Once again, you're receiving 4 to 6 items each month. The Classic Box costs $50 when you subscribe. What could be better than a meat-focused company for your charcuterie? Journeyman Meat Co. has a strong emphasis on meat, so you know you'll be getting great products every time. Their main subscription is a Salumi Club (yes, that's how they spell it). The club provides you with 2 shipments of artisanal salumi every quarter. The products are always limited editions. You're also provided with suggestions for serving and for wine pairing. Membership costs $27 per shipment, along with $8 shipping and handling. The club ships out in February, May, September and November, regardless of when you sign up. 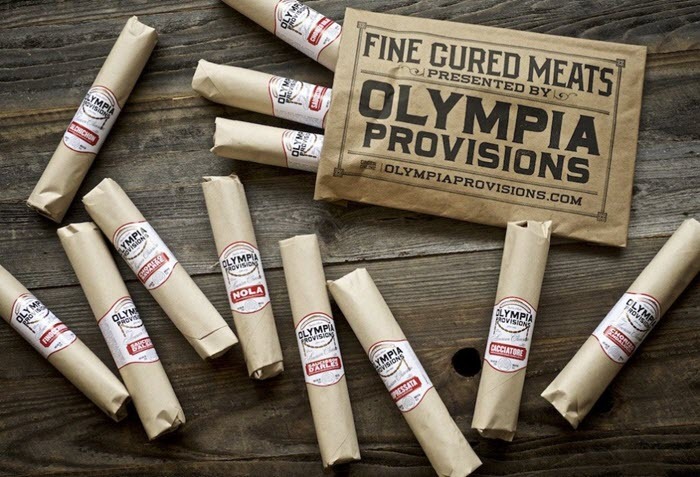 Olympia Provisions provides a variety of products each month. The club from Olympia Provisions is a fun choice for charcuterie lovers. It provides you with 2 to 4 different charcuterie products each month. The product selection isn't limited to meat either. You'll sometimes find pickles in the box too, along with pairing notes and recipes. The subscription costs you $55 per month. The monthly boxes are also themed, making the experience especially enjoyable. For example, there was a Taste of France box shipped out in January. You can even expand the box. For an extra $10 a month, Olympia Provisions will ship out an accompaniment too, like crackers or cheese. This meat club provides you with 2 salamis each month. 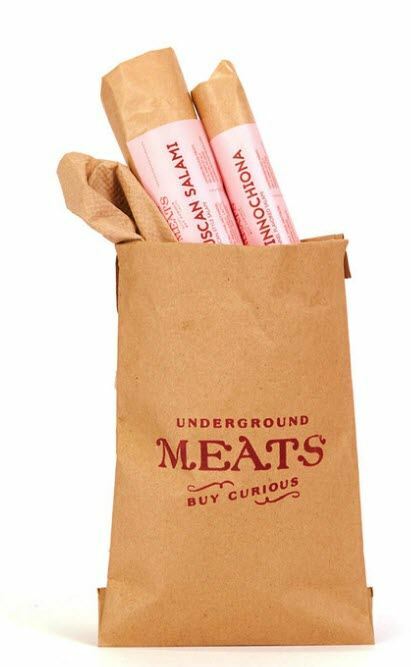 If you're particularly interested in salami, the Buy Curious Meat Club could be the choice for you. The subscription costs $32 per month and you can join on a month-to-month basis, or pre-pay for a longer duration. Your monthly shipment comes in an envelope, rather than a box. This contains a large-format salami, along with a small-format salami. While the company doesn't define the difference between the types, the images on the site offer a general idea. This local club provides a combination of cheese and charcuterie. Glen's Garden Market is different than most other options, as the club is local only. This means that you need to visit their store (in Washington D.C.) to get your subscription. Glen's Garden Market wants members to pick up their subscription on the second Wednesday of each month, between 5pm and 7pm, but they're willing to be flexible if needed. The club itself provides you with 2 charcuterie products, 2 pieces of cheese and an accompanying item. 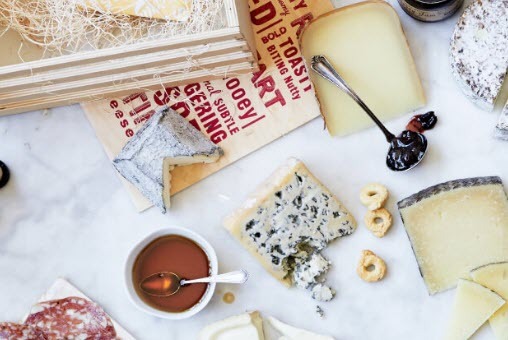 You even get access to free cheese classes (with samples!) when you pick up your subscription. The pricing is simple. You pay $54.99 for a single month or $164.99 for 3 months. This artisan meat and cheese club is a good option for charcuterie lovers. A Gift Inside is another company that provides curated clubs. Their subscriptions feature items from many companies throughout the United States, giving you a broad experience of styles and flavors. The club is also unusual in that they provide full details of the products for each month. This allows you to make a fully informed decision about whether you want to join. A final feature to mention is membership duration. You can a membership of anywhere from 2 to 12 months, where you pay for the entire subscription in one go. The average monthly price ranges from $33.33 to $38.60, with the longer durations giving the best discount. 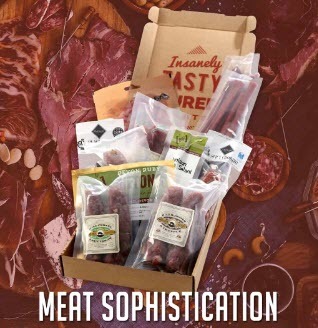 As the name suggests, this subscription provides you with a box of meat every month. Why settle for a few charcuterie items per month when you can have a subscription like Meatbox? Meatbox doesn't just offer a larger selection than normal. The company also has a range of boxes – enough to suit everyone. 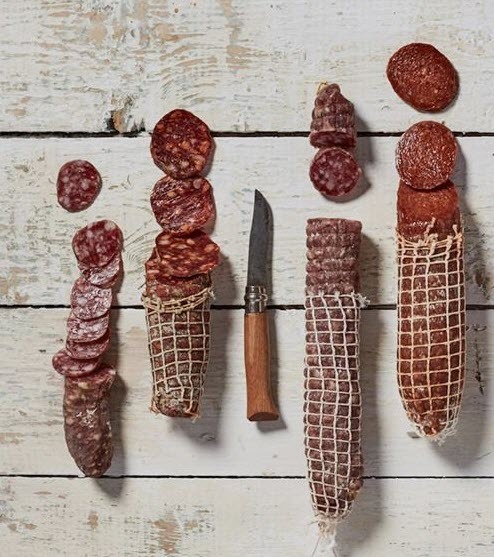 Their box names include Meat Sophistication, Healthy Beer Snacks, South African Cured Meats, Can You Beat the Heat?, Super Lean Protein Packed,and The Art of the Saucisson. Each box type can be ordered for 1 month, 3 months or 6 months. They're priced at £15.95, £40.00 and £75.00, respectively. As the pricing suggests, the company is UK-based. They ship to people in the UK and in Northern Ireland. Here's another company that provides you with both charcuterie and cheese. Pastoral specializes in providing cheese, bread and wine. This should give them plenty of expertise for pairing cheese and charcuterie. 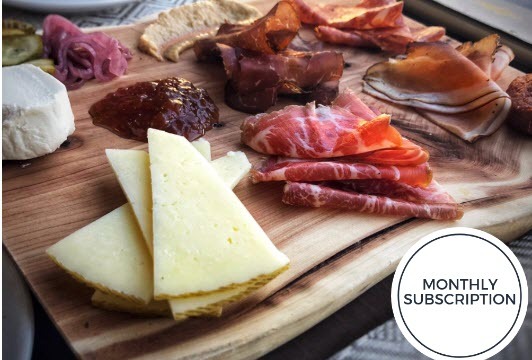 Their subscription club is simple, just containing a single piece of charcuterie and another of cheese. You also receive information about the items and how they complement each other. The subscription can be ordered for 4, 8 or 12 months. Regardless of your choice, you need to pay for the whole subscription at a time. You're paying $249 for 4 months, $469 for 8 months or $699 for 12 months. This is a good subscription if you want charcuterie and nothing else. The Bedford Cheese Shop is one of the best choices for charcuterie lovers. 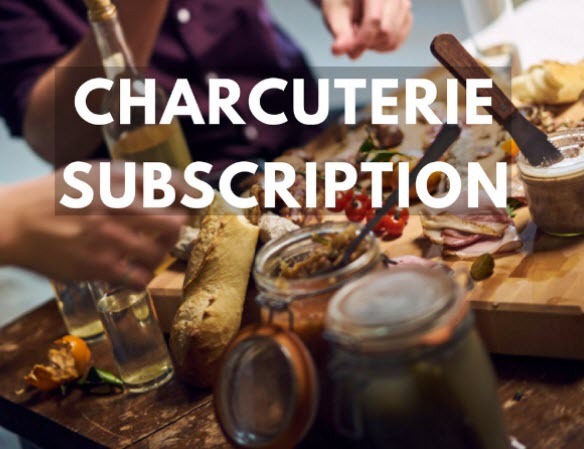 Their Charcuterie Subscription just provides you with charcuterie each month, nothing else. Your monthly box includes a seasonal cured product and a salami, along with some cornichons and mustard. This time, there are 4 subscription durations: 3, 6, 9 or 12 months. The price ranges from $180 to $720. The versions all calculate out to $60 per month. Shipping is included in the price, so there are no extra fees to pay. This London-based company focuses on British charcuterie and cheese. If you're in the UK, a subscription from Craved is worth checking out. 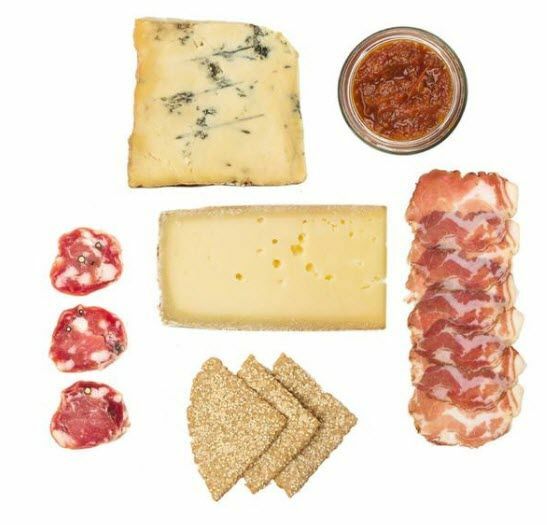 Your monthly box contains 2 British charcuteries, 2 pieces of cheese, some crackers and a jar of chutney. The combination is perfect for snacking and you'll be receiving different items each month. The 3-month version of this club costs £119, while the 6-month version costs £219 and the 12-month version is £359. While there is no month-to-month membership, the 3-month version is inexpensive enough to try out. This club provides a sausage subscription and a charcuterie subscription. 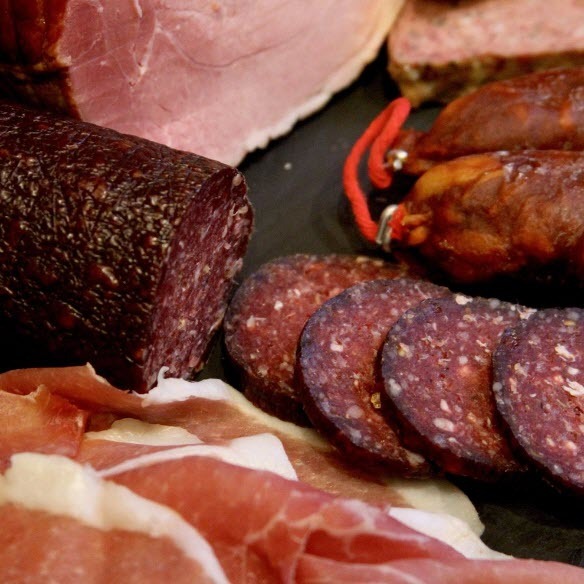 The charcuterie subscription from Secret Meat Club provides you with a selection of different charcuterie items each month. This includes sausages, pickles, condiments, cured meats and cooked meats. The company is less specific than normal, so it isn't clear how many items you get per month or how these are chosen. You are able to choose between receiving your box through delivery or pickup. Picking it up costs $40 CAD (plus tax). You need to pick it up from Edmonton, AB. You can have it shipped too, for $50 CAD (plus tax). The shipping area is limited to Edmonton, Sherwood and St. Albert.